On the Internet Archive, there are quite a good number of well-made documentaries from the past ten-or-so years. One of them is Enron – The Smartest Guys in the Room. As the title implies, it is about the rise and fall of the energy corporation Enron. The Enron scandal, unravelled shortly after the 9/11 terrorist attack in 2001, is considered to be one of the worst cases of corporate fraud ever committed. As a result of the scandal, tens of thousands of employees and private shareholders lost huge savings, in many cases resulting in personal disaster. 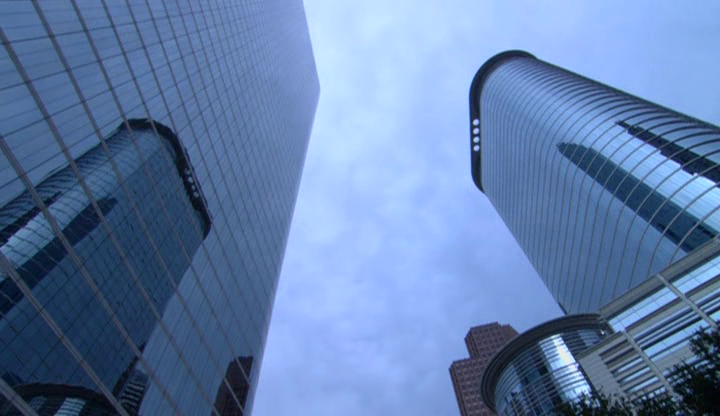 The documentary points out three major perpetrators to Enron’s criminal and unethical actions: The founder and CEO Ken Lay, President Jeff Skilling, and Chief Financial Officer Andrew Fastow. The narrative structure of Enron – The Smartest Guys in the Room is fairly straight-forward by today’s standards. 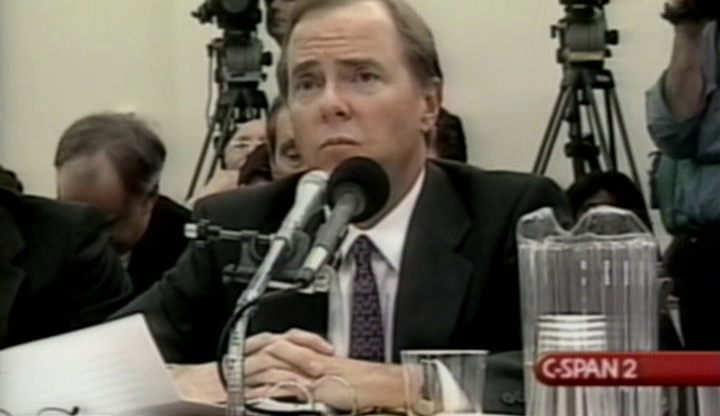 A narrator guides us past many interviews, TV news clippings and senate hearings, as well as various audio and video recordings for internal Enron use. There are also interior and exterior shots of the main offices, and of course the mandatory flashbacks to education and early careers of the central persons. The whole mix is presented in a believable and appealing way. The conclusions, including some interesting speculation on what caused so much callousness and greed, seem to hold up when I double-check some other Internet sources on the subject. This film is best enjoyed if you have been pondering questions of good versus evil in mankind and want some more food for thought. Christmas is a time of year when everyone is expected to feel good, to socialize with family, and to relax from the pressure of everyday life. In reality, for many people it tends to be the other way around. Beyond Tomorrow is in many ways a typical Hollywood feel-good movie. But at the same time it touches upon many serious topics. The social demand of being surrounded by good friends around Christmas time, for instance. So what do you do when your invited Christmas dinner company does not turn up? The three old and rich industrialists George, Allan and Michael are the victims of such a calamity, and they decide to play a little game. They each toss out a wallet with money and a business card, and make a bet of whether anyone will turn up to return one of the wallets in time for dinner. Two persons, the Texan Jim and the child nurse Jean, do arrive at the door to return two of the wallets. Thus begins Beyond Tomorrow, and thus begins the love story between Jim and Jean. Needless to say, there will be many trials to test their true love before we arrive at the inevitable happy ending. In all honesty, Beyond Tomorrow is a very, very sentimental film. Almost sentimental to a fault. But at the core of that sentimentality there is also an earnestness about the themes that are treated. About loneliness, about friendship, and about death. I think that this earnestness is what, after all, saves Beyond Tomorrow from turning pathetic. 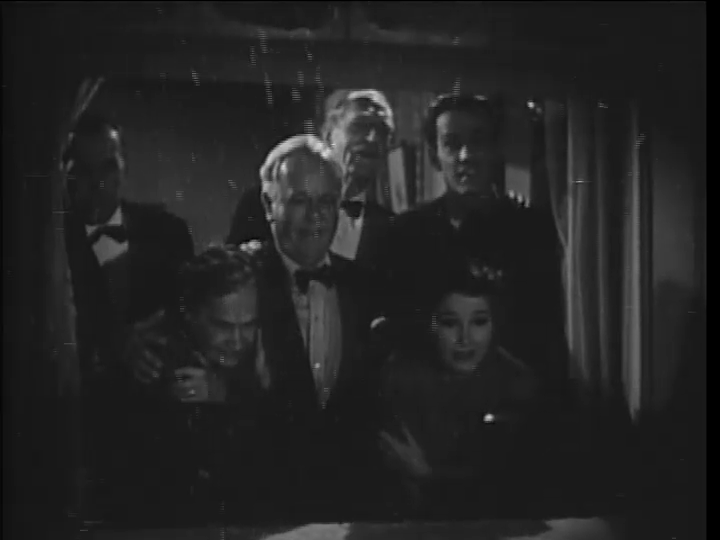 To top that, the actors are very good, especially Harry Carey, Aubrey Smith and Charles Winninger as the three old men. 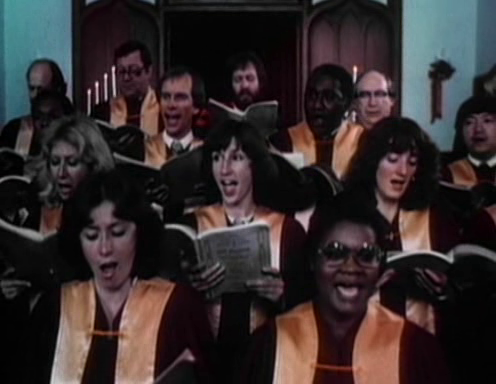 Movies about choirs (or, rather, the individuals in them) are not all that common, but if you watch a lot of film you have probably seen a couple, such as Swedish As It Is in Heaven (2004) or English Song for Marion (2012). Being myself a choir singer, I have definitely seen my share, and I have come to the conclusion that the majority of such films are built around a common template or structure. In terms of dramaturgy, they share a number of traits and characters. I will describe these traits and exemplify with an old TV movie, A Christmas Without Snow. 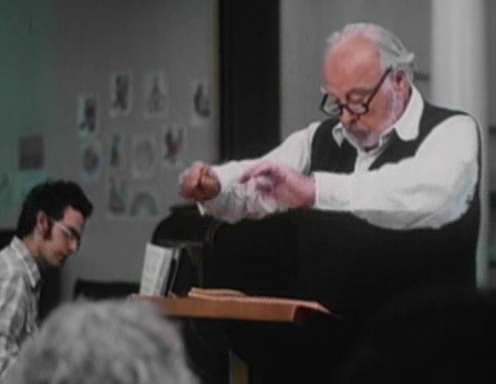 Early in a choir film, often just at the beginning, we see the Change. Something happens, usually an external force, that takes the choir in a new direction, or even causes its creation. Such Change is usually connected with the Leader, typically the conductor. In A Christmas Without Snow, this Change is the arrival of Mr. Adams, a retired musician, to take over as the Leader of the small and rather bad choir in a San Francisco church. 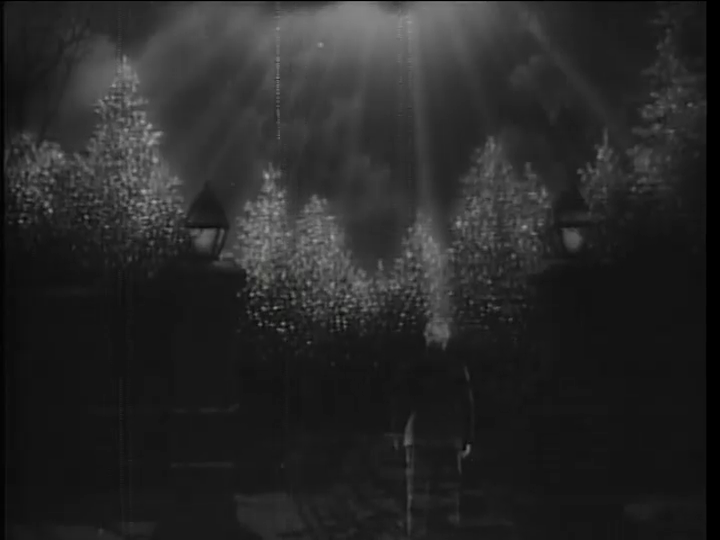 Almost immediately, Mr. Adams announces his intention to perform Händel’s Messiah for Christmas. 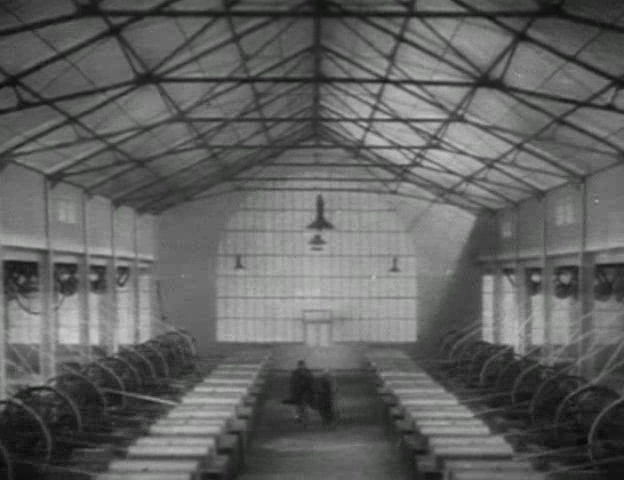 This is the film’s Goal, which is often closely connected with the Change. This announcement is followed by a period of Consolidation where the choir grows and improves. During the Consolidation we get to know many of the other members, including the Soloist Mrs. Kim, who sets a good example for everyone with her exceptional voice and personality; the Dissenter Mrs. Burns, an old opera singer who creates tension through her egotistical personality; and the Disharmonist Inez, a well-meaning old lady who no longer manages to sing in tune. It would be a boring film indeed if there was not a Crisis to upset the order and, seemingly, make the Goal impossible to reach. A Christmas Without Snow has no less than two separate Crises. First the church organ is vandalised, and there is no money to repair it. But the choir decides to do the job themselves; a Turning which resolves the Crisis. But then Mr. Adams has a stroke only days before the concert. He survives, but cannot lead the choir. Again, of course, there is a Turning to make things right. Arrives finally the day of the big concert. The church is full and the choir makes an excellent performance in the Accomplishment of the Goal. Now, if you think I ruined A Christmas Without Snow for you by spoiling all the crucial parts, not to worry. There is plenty of plot going on in addition to the “template” events, so this nice (if a bit overstuffed) movie still offers much to discover. Not least the main story about Zoe and her frustration of having to leave her son behind while she is looking for a new job. The structure I have outlined above, with a Change, a Goal, a Consolidation, a Crisis, a Turning and an Accomplishment, is one you will be able to recognize in almost any choir movie you watch. There may be slight variations. Song for Marion, for instance, conforms to the basic structure, but has no Disharmonist and no clear Dissenter. This choir film structure is one that can also be seen (although usually not quite so dramatically intense) in most real choirs, as the choir builds itself for the next concert performance. This real-life drama is perhaps one of the reasons why choir singing is such a popular pastime. But there are also fascinating parallels with another genre of movies, namely sports films such as The Bad News Bears (1976), where the new coach has to take the league’s worst team to the top. It is interesting to speculate about the reasons for these parallels. This film is best enjoyed if you are a choir singer yourself, but should work for anyone who wants to get in the right mood for the Holidays. Once a year, about this time, the Swedish railway companies yet again are taken by surprise by the first major snowfall. This year, hundreds of departures were cancelled in southern Sweden because of anticipated wind and snow. Fortunately for me, I live farther north and had no problems this time. Critics say that the trains purchased in recent years are of insufficient quality and poorly adapted to the Swedish climate. Electric switches that freeze tend to be another source of problems. Perhaps it would be a good idea to go back to steam engines and manual switches. At least on film, there never seem to be any problems with old trains running through winter lanscapes, such as the one we find in the old horror film Horror Express. This is one film at the Internet Archive I might have overlooked entirely if it was not for the nice Spanish blog Corriente textual, a good source of IA recommendations in case you run out of suggestions here. Horror Express was made in Spain with a Spanish director, but with an English-speaking cast. In spite of its origin, it has the look and feel of an old Hammer film from the 1960s (Hammer Film Productions is famous for its many horror films, not least with Christopher Lee as Dracula). This likeness was probably conscious on the part of producer and director. The pacing, dialogue and music all remind of Hammer’s style. 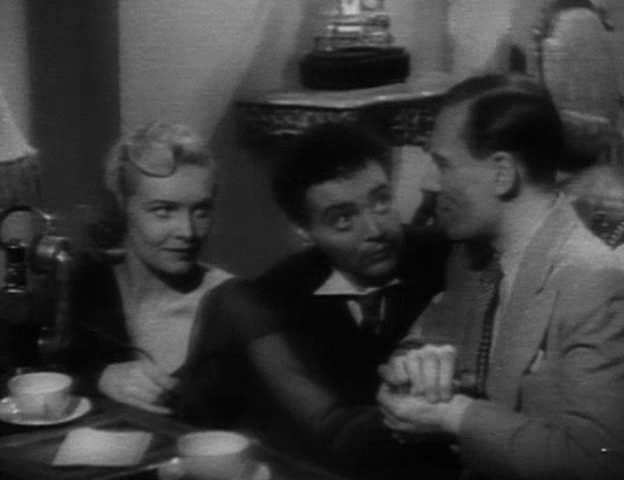 The choice of actors also suggest a deliberate nod to Hammer. 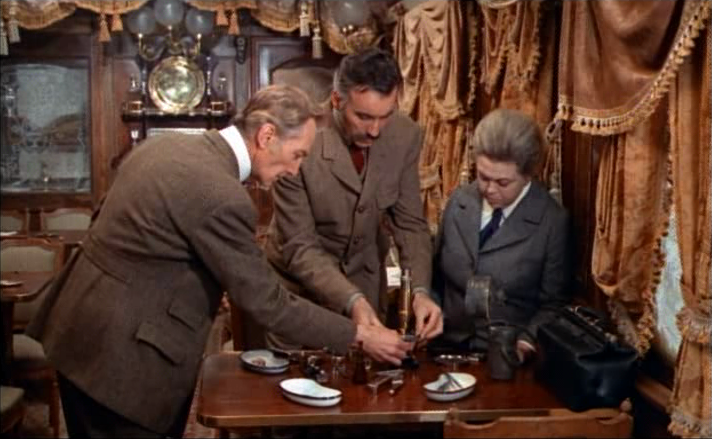 Christopher Lee here plays a slightly mad scientist who has found an ancient ape-like corpse in China and wants to secretly transport it on train through Russia. (But is it really dead?) Peter Cushing, another actor who did many roles for Hammer, plays a doctor who tries to save the situation as it goes increasingly out of hand. 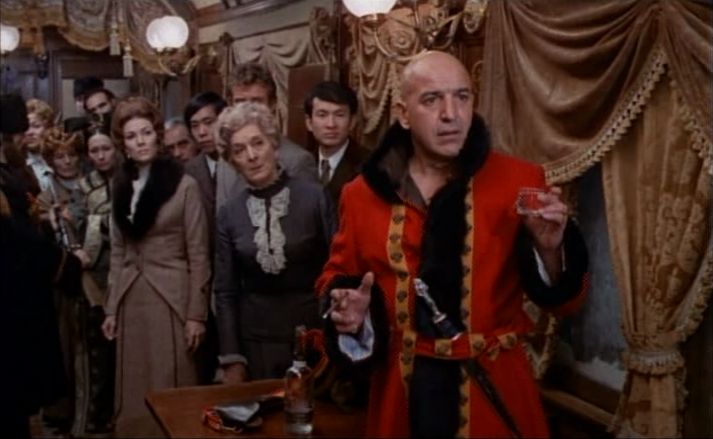 Another interesting actor, although he has no connection with Hammer as far as I know, is Telly Savalas who plays a Russian cossack. As a horror film, Horror Express feels aged today. The monster make-up is good enough, but the special effects are far from spectacular, and the pseudo-science in the dialogue makes me cringe. Fortunately, the suspense is good and the acting is decent overall; especially Lee and Cushing are good. And the interiors of the old railway cars are just beautiful. This film is best enjoyed if you are a Hammer fan and want to experience something similar.